HECM reverse mortgages are a surefire way to not only preserve your hard-earned savings, but they will also increase your income. After you have been matched with a lender and have discovered how much money you are eligible to receive, Z Reverse Mortgage will help you develop a reverse mortgage financial plan. 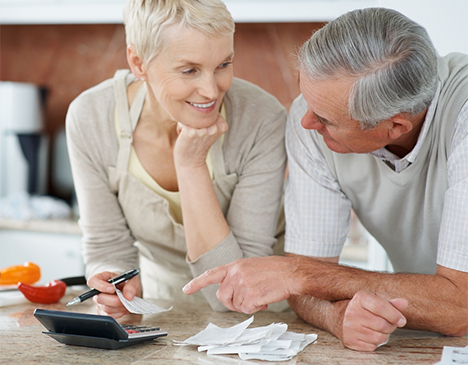 If you choose a fixed interest rate, you will receive your reverse mortgage payment in a single lump sum disbursement. If you choose an adjustable interest rate, you will have a few different options for how you receive your reverse mortgage payments, and we will help you pick the one that is best for your unique financial and living situation. Tenure – You will receive equal payments every month for as long as you live in the home. Term – You will receive equal payments every month for a fixed period of time. Line of Credit – You will be able to withdraw installments of whatever amount and at whatever time you choose until the line of credit is exhausted. Modified Tenure – This is a combination of a line of credit and tenure payments. You will have a line of credit and will also receive payments every month for as long as you live in the home. Modified Term – This is a combination of a line of credit and term payments. You will have a line of credit and will also receive payments every month for a fixed period of time. Single Disbursement Lump Sum – When the mortgage closes, you will receive a single large payment. At Z Reverse Mortgage, we help you get the best value for your reverse mortgage. We will help explain to you the differences between the payment plans as well as help you decide between a fixed interest rate and an adjustable interest rate.